The Joseph was built in 1898 by Eli Aston of Tipton for J Marsh Jnr of Dixons Green and named after his grandson. It was an open dayboat constructed of iron for use on the Birmingham Canal Navigations. Ownership is believed to have passed to J Batson & Co Ltd, and later Wood Bros who traded around the Black Country for many years. When the Joseph was gauged at Tipton on 8 August 1898 the boat was allocated BCN Number 16314. It was described as "An iron open boat called Joseph 71' 0" long 7' 01/2" wide and gauged to 38 tons". 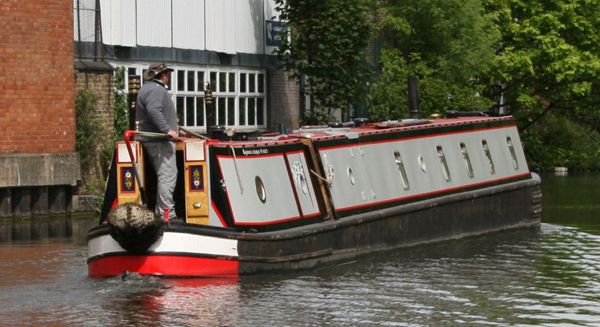 The Joseph is recorded in the 1960s as still horse-drawn, carrying various cargoes until conversion by John & Marian Thornett who lived on board between 1969 and 1974 at Stoke Prior Wharf. The Joseph had a full length cabin, steamer-style counter, engine room with Lister JP3 and traditional back cabin added by Richard Hurley (Oldbury Boat Services) in the late 1970s.